Andrew Barker was walking round his Halesowen garden by torchlight in the early hours of yesterday morning (as you do? ), when he spotted a Small Marbled at rest on Ragwort. 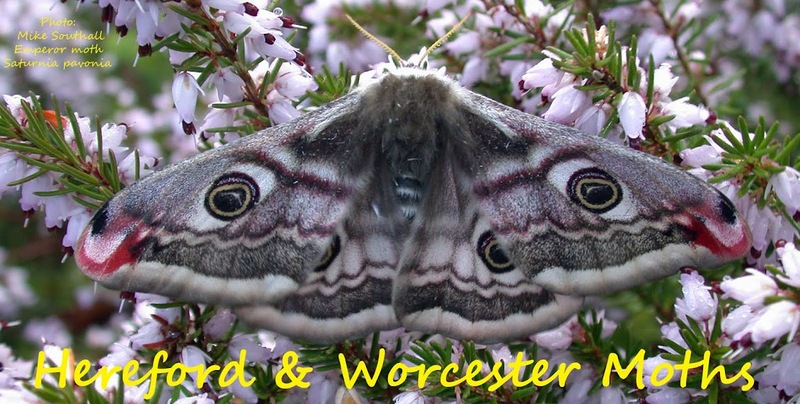 I believe this is the 5th record for Worcestershire, with the previous records all from 2011. Nice record, but I'm more concerned that your ragwort has gone a bit woody. 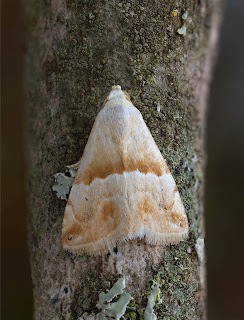 I did record one at light here at Norchard, Worcs on 7/7/2015, Patrick. Interestingly when I was trapping in North East Spain in late June this year, this species was the most numerous, arriving in double figures. Hi Mike, yes, someone else told me they see them frequently when in Spain. I also had one in 2015-on the 10th of July-our second garden record. Thanks Ian, I'm not sure why neither your record or Mike's are on my Mapmate!